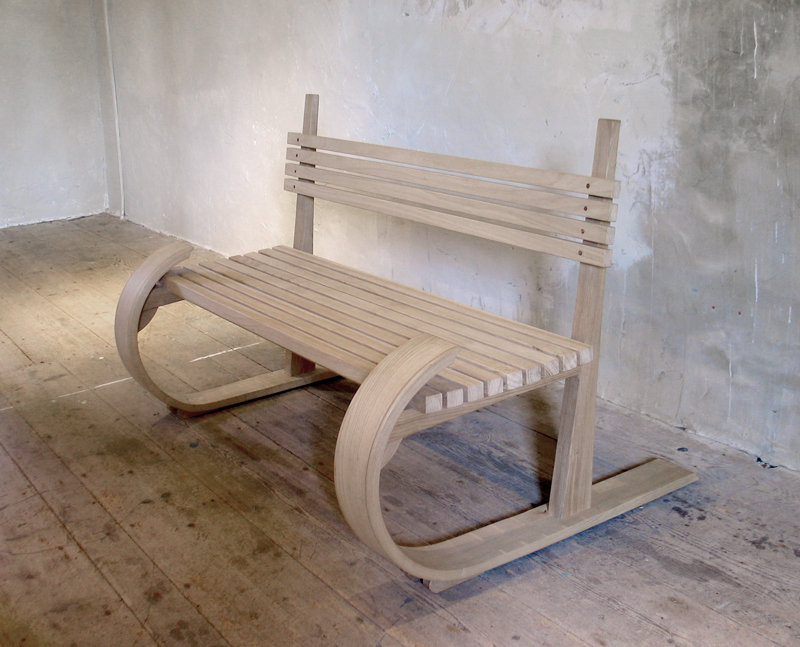 Sleigh Bench by Petter Southall oak with washed finish. Steam bent sledges. In stock.